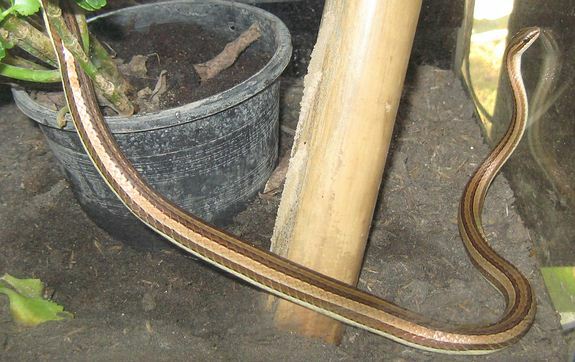 Sent by Paul Donatus, this is an Indochinese Sand Snake that are common in the Chiang Mai – northern region of Thailand. Personally, I’ve never seen one in southern Thailand, alive, or dead on the side of the road – so I think we don’t have them down here. They attain lengths of about 1 meter. 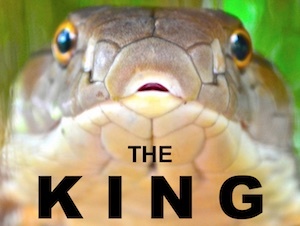 They They eat frogs, smooth scaled lizards / geckos and even other snakes on occasion so reports one keeper. 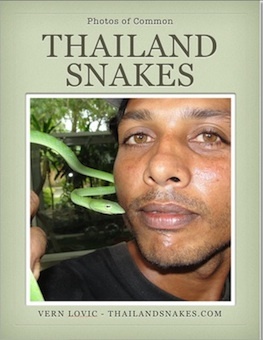 Thailand has such diversity among snakes. There are over 200 species of snake living in the country. It’s always exciting to find one I don’t know – and have never seen. Always a bit strange handling them – not knowing, is it venomous and toxic to people, or not? 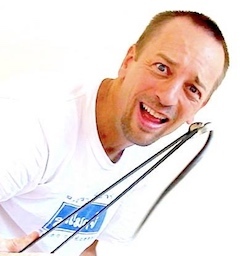 Keep in mind, I don’t pick up a snake I don’t know with my hands – but when I say “handling” I usually mean on the end of a snake hook, or with snake tongs. A very cool snake, and apparently Paul has more photos to send. Will get them up as time permits. Thanks Paul for introducing me to the Indochinese Sand Snake!